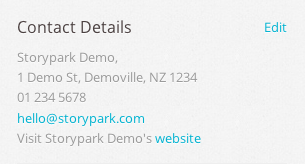 Your early learning service’s profile is visible to your Storypark community (ie. teachers and family admins, not extended family members who have been invited by parents). 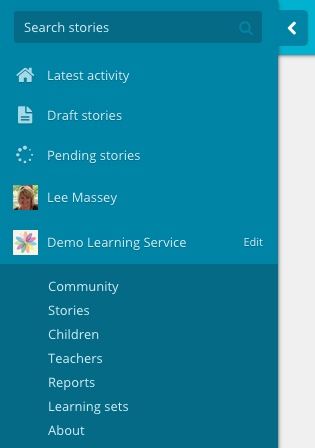 To access this area, click on the ‘About’ link beneath your early learning service’s name in the menu. You can use this space to describe the service you provide. It has three parts: a central text area, contact details, and documents. anything else that is important to your early learning service and community. any other documents important to your early learning service and community.